Our program for children and adolescents was our first focus for Casa Amarela. With more than 55 children taking part in our weekly activities, we base our teaching style on the importance of respect, discipline and responsibility. We are pleased to have the support of both local and international artist, from Providência, Rio and its surrounding and the world! The classes offered for the children and adolescents are based on our three pillars: art, education and culture. Today these classes include all type of art (drawing, collage, painting, watercoloring), boxe, music, theater, dance (afro, hip-hop, classical), photography, computing, rap, art therapy and many others! Our group of youth (18 to 35 years old) participate to several classes such as yoga, english and french. In addition, we have a mentoring project where each youth have a mentor that follows their professional, human and social progresses. We offer workshops such as computing, communication, marketing and management to support and help in their inclusion in the professional world. 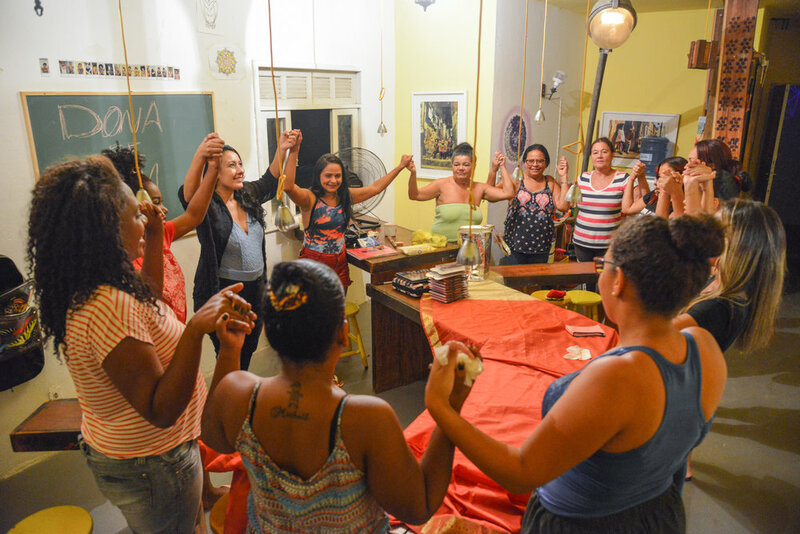 Our program for women called “Dona de Mim” (Owner of Myself) includes 30 women from Providência, with the goal to empower females and show the importance of entrepreneurship while increasing their self-esteem using make-up and handicraft classes. Most of these women are relatives of the children frequenting Casa Amarela.